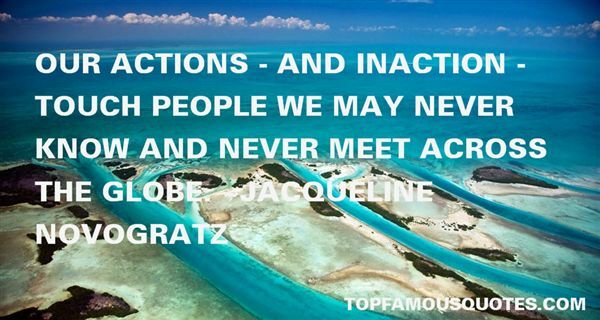 Reading and share top 5 famous quotes and sayings about Action And Inaction by famous authors and people. Browse top 5 famous quotes and sayings about Action And Inaction by most favorite authors. 1. "Our actions - and inaction - touch people we may never know and never meet across the globe." 2. "There are costs and risks to a program of action, but they are far less than the long range risks and costs of comfortable inaction." 3. "Is he ready? No, probably not. 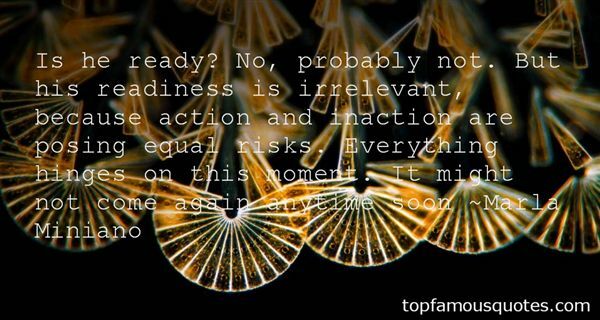 But his readiness is irrelevant, because action and inaction are posing equal risks. Everything hinges on this moment. It might not come again anytime soon"
4. "Action is a great restorer and builder of confidence. Inaction is not only the result, but the cause, of fear. Perhaps the action you take will be successful; perhaps different action or adjustments will have to follow. But any action is better than no action at all." 5. "In order to align your life choices with your values, you will need to inquire about the effects of your actions (and inactions) on yourself and others. 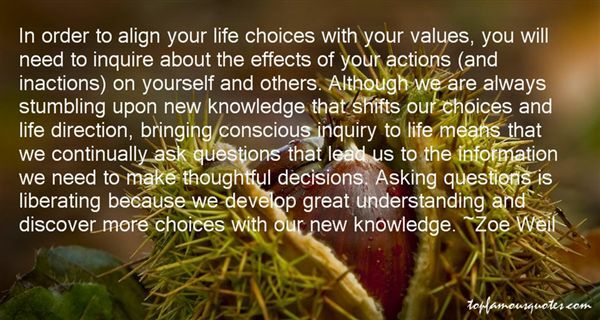 Although we are always stumbling upon new knowledge that shifts our choices and life direction, bringing conscious inquiry to life means that we continually ask questions that lead us to the information we need to make thoughtful decisions. Asking questions is liberating because we develop great understanding and discover more choices with our new knowledge." What kind of weirdo makes cheese? It's too hard to imagine, too homespun, too something. We're so alienated from the creation of even ordinary things we eat or use, each one seems to need its own public relations team to calm the American subservience to hurry and bring us back around to doing a thing ourselves, at home."